General Hospital spoilers for next week: Franco must choose, Sam manipulates Shiloh, Ava is rejected! 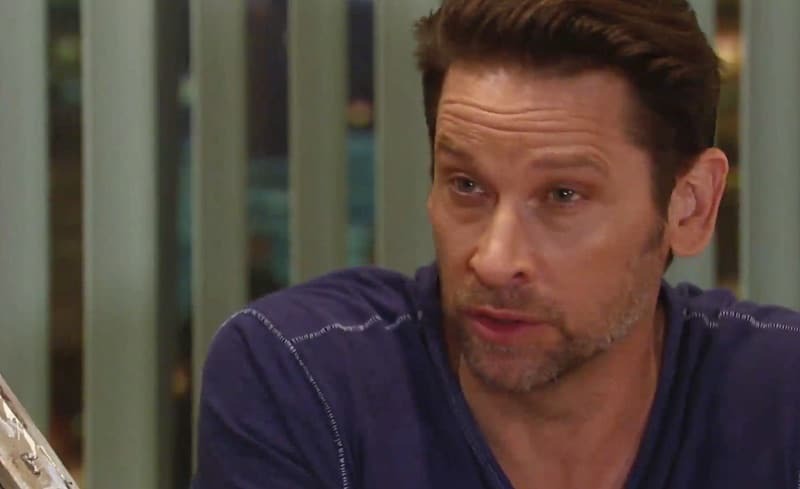 General Hospital spoilers for next week’s episodes of ABC’s sudser promise a ton of teasing torment for your favorite characters as emotions run high in Port Charles. The Dawn of Day crew scrambles to take back control and surprising characters lean on each other. Let’s get started dishing the soapy dirt! Franco (Roger Howarth) and Jordan (Briana Nicole Henry) have reason to hook up. Whatever for now that all the Ryan (Jon Lindstrom) mess is behind them. Or is it? Ava (Maura West) puts herself out there in an awkward way, but the object of her interest says no way, Jose! Both Laura (Genie Francis) and Carly (Laura Wright) have been put through the wringer recently with family messes and chaos. Next week each finds a way to cope. Laura has an epiphany and Carly has a catharsis. What to say about the whole Dawn of Day thing? It’s creepy as all get out. Shiloh (Coby Ryan McLaughlin) is beyond redemption (unless we find out he has a brain tumor!) and that minx Harmony (Inga Cadranel) is super scary. Next week Sam (Kelly Monaco) has her way with the cult master, and Jason (Steve Burton) and Shiloh have an intense moment that could alter both lives forever! Stone Cold is super busy as he also finds out something disturbing about Brad (Parry Shen). Also being confrontational are Franco and Cam (William Lipton). Meanwhile, Kevin (Jon Lindstrom) gets all warm and fuzzy and Michael (Chad Duell) has a major breakthrough. Does the lightbulb above his head mean someone’s finally solved the baby switch thingy? Sonny (Maurice Benard) has a talk with Jason and with Margaux (Elizabeth Hendrickson). Guess which one is more fun? To cap it all off, Alexis (Nancy Lee Grahn) takes another giant step toward Julian (William deVry) when she discovers that he did something fabulous for Kristina. General Hospital spoilers: Carly plays hard ball, Should Ava forgive Griffin?